Do you remember the classic MGM movie, Ben-Hur? Charlton Heston, the chariot race, the galley slaves forced to row at “ramming speed”? The film won eleven Oscars as it displayed passion and pageantry, betrayal and bitterness, grace and redemption. Now, Mark Burnett and Roma Downey – with MGM and Paramount – have remade this film for a new generation. It opens August 19 (USA). Two brothers in first-century Palestine split over the Roman occupation. Messala sides with Rome, Judah Ben-Hur with his Jewish heritage. 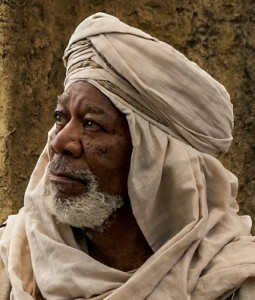 Messala’s rage sends Ben-Hur into slavery for years. 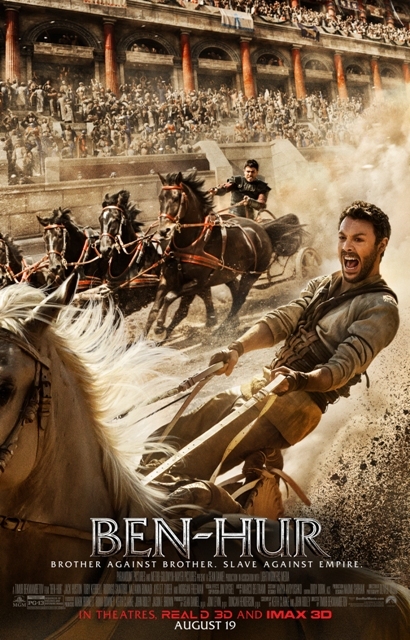 When combat turmoil frees him, Ben-Hur returns to Jerusalem seeking revenge against Messala. A chariot race for the ages ensues – filmmakers spared no effort to make the signature event thrilling. “First to finish, last to die” is the watchword as the brothers claw for advantage. But something happens inside Ben-Hur to break the cycle of hatred. It involves a carpenter who years ago helped him, which kindness he seeks to reciprocate. The carpenter’s words and life transform him. As filmgoers prepare for the excitement, romance, and drama, understanding the movie’s backstory can enhance their appreciation for the tale and its nineteenth-century writer. In 1876, Civil War general Lew Wallace took a train to Indianapolis for a convention. En route, he encountered Robert Ingersoll, a noted agnostic, who wanted to converse. Wallace agreed, provided Ingersoll let him choose the subject. “Is there a God?” began Wallace. “I don’t know: do you?” replied Ingersoll. “Is there a Devil?” continued Wallace. “I don’t know: do you?” countered Ingersoll. Wallace, who considered himself absolutely indifferent to religion, continued with questions about heaven, hell, the hereafter. Ingersoll responded the same, then launched into a discourse. Ironically, the skeptic’s arguments jolted Wallace from his spiritual indifference: “I [was] now moved as never before, and by what? The most outright denials of all human knowledge of God, Christ, Heaven, and the Hereafter which figures so in the hope and faith of the believing everywhere.” Ashamed of his poor knowledge about faith, he resolved to study and learn. 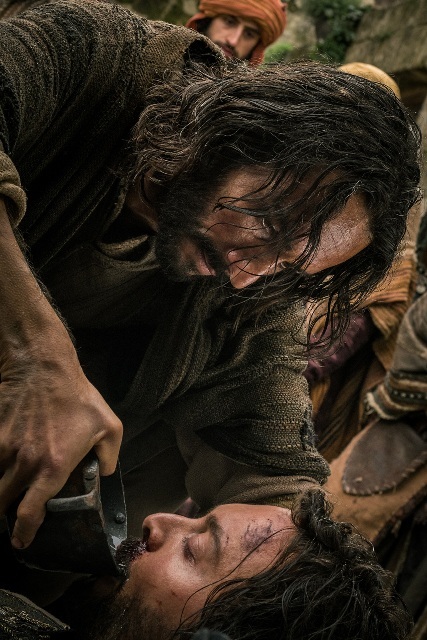 Convinced a novel with Jesus as protagonist would be poorly received, Wallace fashioned the story of a young Jewish noble – Judah Ben-Hur – who, betrayed by his brother, would suffer years in slavery before returning home to exact revenge. Along the way, a young Nazarene gave him a drink of water that helped sustain his life. 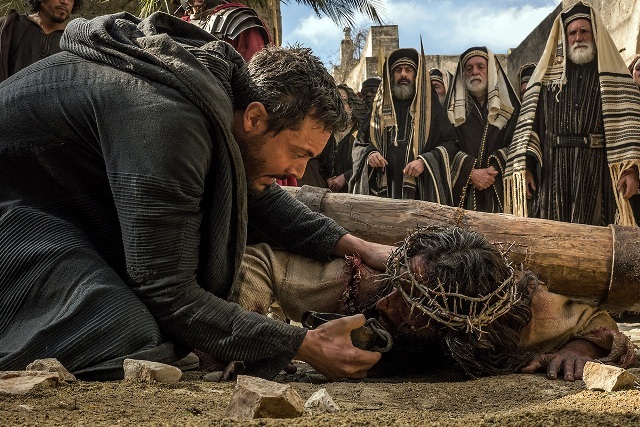 Years later, Ben-Hur would seek to return the favor as the Nazarene was heading toward crucifixion. Harper Brothers published the novel in 1880. It became the best selling book of the nineteenth century and has never been out of print. A stage play and two earlier film adaptations have kept it before the pubic. As you watch this new film presentation, maybe this backstory can add context to the movie’s theme. And perhaps the film will prompt you to study as Wallace did to see if Jesus really is “the way, the truth, and the life” who can forgive and give us strength to forgive our adversaries.